Hello everyone: Well, this card is the first card I make for my grandchildren who are soon going back to school, I still have to make the rest and I will be posting them later. This one is for my almost 12 year old granddaughter Anastasia, who is going into the 6th. 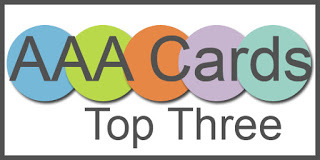 grade this year but will be taking advance 7th. grade Math and English. This year she will also join the Cross Country team, this little girl loves to run. Last February she was on her school's Timothy Ball Math team and the competition was at this school so we were able to go see her, we were amazed at the math skills of this kids, we were trying to solve the problems, with NO luck what so ever, LOL!! so I made this card for her to wish her good luck this school year. Oh yes, here I go again with my little mice, LOL!! forgive me but I love them. Besides, little Monica has the perfect expression to convey the message as she stares at the board filled with this Mathematical equations, sheeesh!! This image is, of course, from House Mouse, I stamped it first onto some copy paper to be able to more or less create the brick wall, after I drew the bricks and colored them, I took the mask off and I stamped the little mouse right on it's place, colored it with SU markers. Then I made the "board" and, after looking for some equations on Google, I wrote them down with white gel pen. I also drew the question marks and exclamation point with a micro black pen. The books are from a retired Flourishes set called "From the Desk Off.....", I just masked the flower vase and stamped it onto a piece of Canson water color paper and colored it also with SU markers. 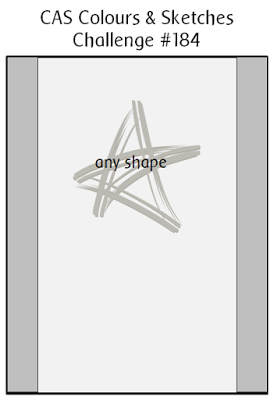 I wrote the titles of the books myself, then I fussy cut them and placed them on the panel with dimensionals. The sentiment is from another Flourishes set called Botanical Bookplates Volume 2. I stamped the letters and numbers with an Avery Alle set. This is to let my little granddaughter know that, with hard work, she can accomplish anything, she'll be jumping for joy like this little mousy. Now, this is the program from that Math Bowl competition, thought you might like to see it. And this is the list of kids from Anastasia's team. Thank you for stopping by and for letting me brag a little, until next time, happy stamping. I'm entering this card into the following fun challenges. 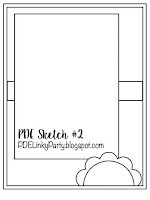 PDE Linky Party I'm using the sketch. Moving Along With The Times, Back to School theme. Sunny Day Crafting Back to School theme. 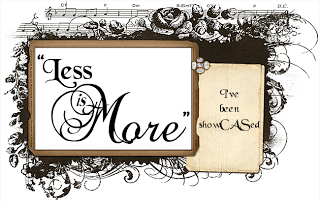 Patti's Creations Challenge #125 Anything Goes. Kitty Bee Designs Challenge #77 All About Animals. Creative Fingers Challenge #14 Anything Goes. 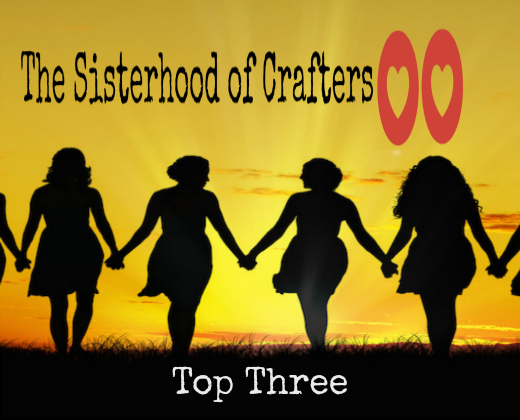 Crafting With Friends Challenge #26 Anything Goes. Color Crazy Week 19 Anything Goes. Hello dear friends: It's not often that I make a card where I don't stamp at all, as a matter of fact, I don't think I've ever made one so, when I saw the challenge over at Time Out Challenges with a theme of HOLIDAYS with the optional twist of NO STAMPING I jumped in plus, my dear friend Aileen Ryan from Color and Sparkle is the Guest Designer this week, here is my card. I tried to take a picture in that little corner by my window where I always do it but the light was shining way to much on the foil paper I used to die cut this baubles so I grabbed some pattern paper and put it flat on my desk and put the card on top, with only the light of the lamp, this worked so much better and now you can see how this ornaments shine. They are from Memory box and you can cut them in different colors and interchange the little pieces like I did here, it's a bit difficult because each piece has it's proper place, if you try to put it where it doesn't belong, it wont fit, just like a puzzle. 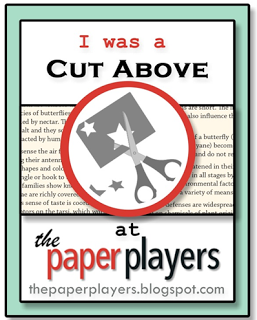 The "branches" were cut with this pretty die that has a flower in the center and the two flourishes on either side, so I die cut only the flourishes with green foil paper. The sentiment is from Penny Black and the set is called "Love and Joy". Here is a picture of the finished inside, also with NO STAMPING. I die cut this word with silver foil paper and decided not to add any layers of card stock, I think it looks really nice just like it is. Dies I used on my card. 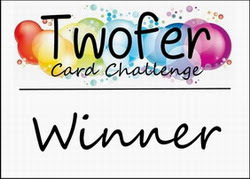 Hello everyone: I love it when I can combine challenges with one card and this is one of this times. 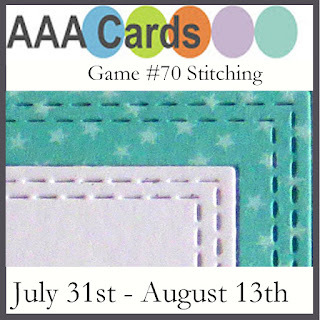 I'm linking this card to the Retro Sketches challenge #225 and the AAA Cards, Game #70 "STITCHING", here is my card. This image is from a retired Flourishes set called "Stitched for You", stamped onto Canson water color paper with Stazon Jet Black ink and colored with SU markers and the aqua painter, the pattern paper is from a retired line from Lili of the Valley and the button was die cut, the button brads are from my stash. I love this sweet sewing basket with all you need to embroider or quilt. 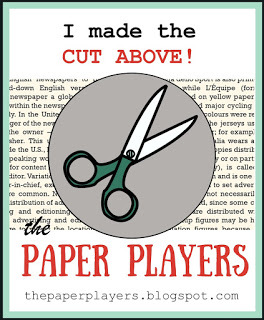 The sentiment is from a Power Poppy by Marcella Hawlley set called Olive and Oak. Hello everyone: We've never been camping on one of this fabulous trailers but, we've gone camping with our daughters when they were little and now, also with our grandkids a few times and it's loads of fun. Aside from the mosquito bites, sleeping on the floor (which I don't think I can handle anymore), rainy days, muddy tents and warm food that turns cold the minute you serve it, being outdoors hiking and making S'mores under a sky full of stars is an amazing and unforgettable experience, the kids remember and so do grandma and grandpa so, when I saw the challenge over at Cupcake Inspirations with a theme of "THE GREAT OUTDOORS", I jumped in with this card. 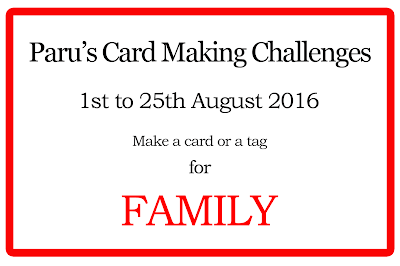 I'm also linking it to this new challenge I found called Paru's Card Making Challenges "August Challenge" with a theme of FAMILY, I hope this card fits the theme, after all, we all went camping as a family. Here is my card. Isn't that camper just adorable? I honestly can see my hubby and I renting or maybe even owning one of this campers and, after he retires, just traveling all over the good old USA. This is on top of my wish list, hope we can swing it one day. But anyway, this sweet image is from a sadly retired Flourishes set called "S'more Fun", stamped onto Canson water color paper with Stazon ink and colored with SU markers with a bit of highlights and shadows done with Prismacolor pencils. The pattern paper is from a retired line of Lili of the Valley DSP, when they announced they were discontinuing this products, I went a bit crazy and bought a bunch of pads of this wonderful ONE SIDED paper. The sentiment is from the set. The sentiment is from another retired Flourishes set called "On the Porch", I stamped it with Mermaid Lagoon distress ink and die cut it with a scalloped oval die, I think it looks really pretty. Here is the photo that inspired my card. 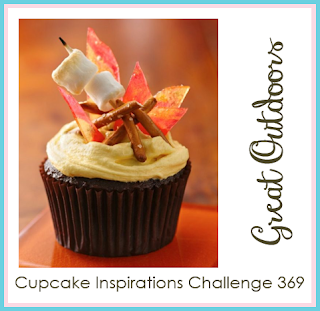 I think this cupcake, with it's fire and toasting marshmallows is just to cute to eat. Hello everyone: I struggled a bit with this card, mainly because I really wanted to follow the House of Cards August Challenge that has a beautiful color palate and also, the One Layer Simplicity Challenge #30 August Art. 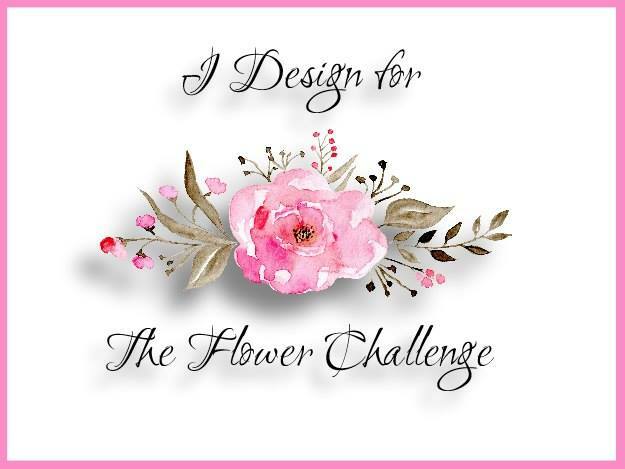 There are 3 ways to participate in this challenge, I chose making a card with an art theme and an art related sentiment and the other one is my favorite, using water colors plus pencils, here is my card. 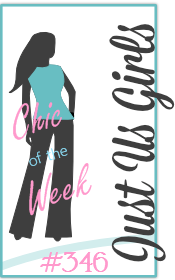 This image is from Stamping Bella and it's called Abigail the Artist, I adore the Up Town Girl collection, all of this images are truly sweet. I stamped her onto a folded piece of Canson water color paper measuring 3 7/8"x10 1/4", with Stazon Jet Black ink and colored it with SU markers, trying to follow the color chart from the House of Cards best I could. Here is a picture of the finished inside of my card, I masked everything around the cans of paint to be able to ink them up with the Basic Gray SU marker and stamp them. 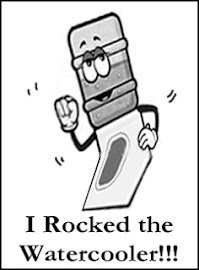 The sentiment is from the same set, I just snipped the top part to be able to fit it next to my image. Ok now, I'm going to do a bit of bragging here, please bare with me. My 18 year old artist granddaughter Vanessa won the 2016 Congressional Art Competition with a piece sketched by her and done in water colors entitled "Indiana's Treasures", she painted the Cardinal, our State's bird and a Peony, our State's flower. Here is a picture from our local newspaper, the Windfield News. I hope you can read what it says. Vanessa's painting is on display in the Capitol Building in Washington, DC. and will be there until June of next year so, if you live in the area, I hope you go and see her painting among hundreds of others from all of the High Schools in the USA. We are beyond proud of her and all she accomplished during her High School years, belonging to the Symphony and Chamber Orchestras playing the Viola, which she has been playing since she was in 5th. grade. She also belonged to the Swim and Track teams, it was absolutely thrilling to go cheer her up at her meets, she said I inspired her to become a great swimmer and runner and, at her last concert a couple of months ago, when they called all of the kids who were graduating this year, when she got to the microphone to say a few words, she said that she was grateful to her family and that she will do an Iron Man Triathlon just like her grandma one day. I just about exploded in tears of joy. 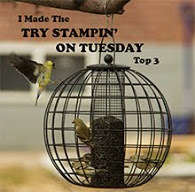 So thank you for reading and for visiting my blog, until next time, happy stamping. The House of Cards color chart. Hello dear friends: I thought I was late to post this card to the Tag You're It! challenge but I think I got the days mixed up, sheeesh!! that's what happens with this grandma tries to multi-task, so I'm very lucky there are a few hours, maybe 14? to enter so, here is my card. This image is from a retired Flourishes set called "Paper Whites", I love this sweet little white flowers with their bright, yellow centers. I stamped the image onto Canson water color paper with Stazon Jet Black ink and colored it with just 3 SU markers and the aqua painter. The tag was punched with the retired SU scalloped punch, the paper is from my stash. I die cut the little frame with Spellbinders "Romantic Rectangles" dies and added some SU Candy Dots. The vase is punched with this super old vase punch I bought some years ago. 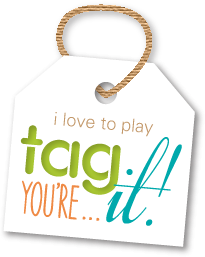 Here is the tag that inspired mine. 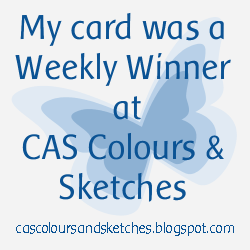 Hello everyone: I have a card to share with you today for the CAS Colours and Sketches Challenge #184, with a sketch by Karen, here is my card. 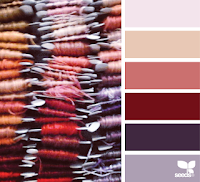 This image is from the set Everything's Even Rosier from Power Poppy by Marcella Hawley, I thought of coloring it in pinks or reds but I decided to do it in yellows this time. Yellow roses are a symbol of friendship, good health and joy and I think yellow roses are gorgeous, the shades they come in are amazing. I stamped this image directly onto my card base with Stazon Jet Black ink and colored it with my Prismacolor pencils rubbing the color very, very lightly with a paper stump with very little baby oil because I didn't want it to sip through the panel and look stained on the inside, it worked great, I'm very happy with the results. The sentiment is from the same Power Poppy set. The sentiment is from a retired Flourishes set called "Picking Wild Flowers". 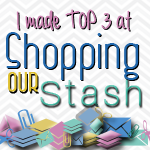 Hello everyone: There is a new challenge over at SHOPPING OUR STASH, for this week we want to see you create your cards using SILHOUETTES, whether die cut or stamped, any color and style, we can't wait to see what you come up with. 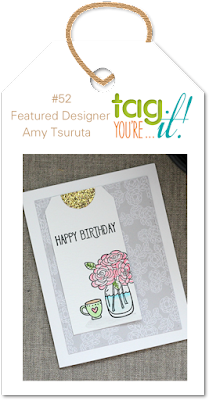 I made my card using the retired Stampin Up! set called "Serene Silhouettes", this beautiful set came out in the 2012-2013 catalog, it has 4 fabulous images that can be used for any occasion, here is my card. This gorgeous group of trees really called for a sunset type of card so I went looking for some cards on Pinterest to get an idea of how to go about getting the colors right. I found THIS CARD and went to work. I first die cut the circle then, I punched a small circle to mask the sun and proceeded to sponge the sky with Hello Honey and Tangelo Twist inks, I took the mask off and sponged a bit of the left over Hello Honey on my dauber on the sun then, using my MISTI I stamped the tree image and the birds, which are from another retired SU set called "Up, Up & Away" (2011-2012 catalog), several times to get an even coat of Versafine Onix Black ink and then, I heat embossed them with clear embossing powder. I glued this circle on my white panel and stamped the sentiment from a retired Flourishes set called "Orchids". Here is a picture of the finished inside of my card, using another one of the images on this set. 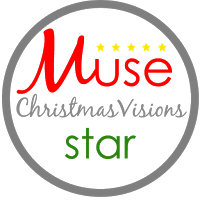 For more fabulous inspiration, hop over the rest of my team mates blogs and check out their awesome creations, we can't wait to see what YOU come up with. 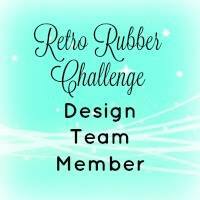 Hello everyone: Well, it's time again for another fabulous RETRO RUBBER challenge, this time it's about colors, bright, happy LIME GREEN and AQUA BLUE plus a neutral which by definition can be White, Craft , Off White, Black, Gray and Beige. 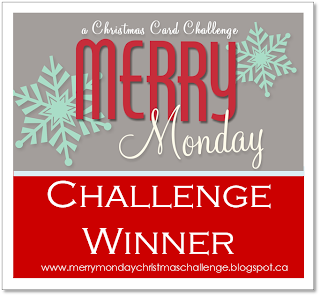 I actually Googled this, for my card I chose White as my neutral color, hope you like it and join in the fun, for more inspiration, hop over the rest of my team mates blogs, to see the fabulous cards they are sharing. This sweet little mouse is from the Penny Black set called HOMEMADE, all of this images are simply adorable. I bought this set back in 2014 but the earliest post on Pinterest made with this set dates back from October of 2013. 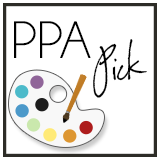 Pinterest and Splitcoaststampers are great places to find out the ages of your stamps, so I always go there for the information. Anywho, this images were stamped onto Canson water color paper with Stazon Jet Black ink and colored with SU markers, I added some highlights with my Prismacolor pencils. 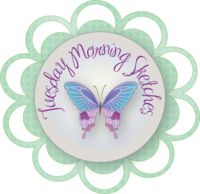 The papers are from my stash, the embossing folder from Sizzix. 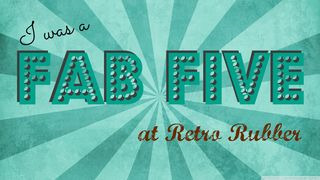 Here is the Retro Rubber Color Challenge banner that inspired my card. 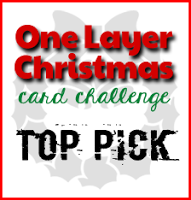 I hope you play along with us and share your cards in the gallery, we would love to see what you create. Please remember to use stamps that are at least one year old, if possible, tell us the approximate age of your stamps and you can play with up to 10 other challenges including ours. 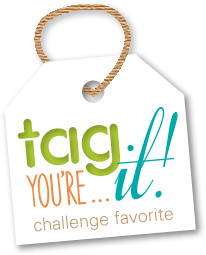 This challenge ends on August 12th. Have fun!! 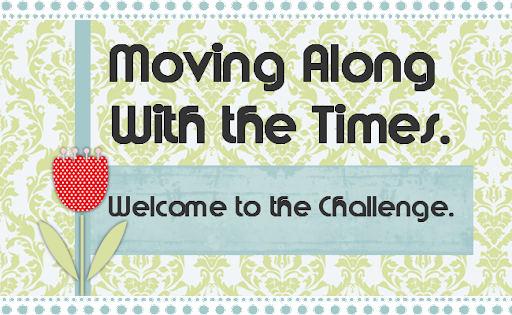 Hello dear friends: I discovered a new challenge last week called Moving Along with the Times and the theme for this time is "Monsters and or Aliens", so since I have just about the cutest Monstermaniacs around, I made this card. I'm also linking it to the Simon Says "Anything Goes" challenge. Aren't they just adorable? 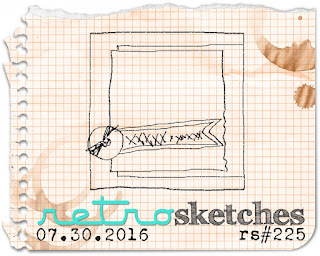 this image is from the retired Stampin Up! set called Monstermaniacs from the 2013 SU catalog, when I saw this cuties I just had to have them. 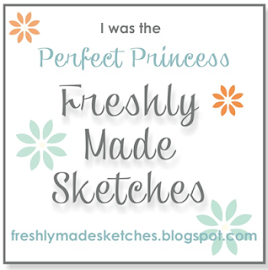 I stamped this images onto a panel of Canson water color paper and colored them with SU markers and the aqua painter. I made the banner myself and the balloons are from a retired Flourishes set called "Celebrate", I just inked this two balloons with SU markers and stamped them on the panel. I gave each of this little guys some googly eyes, I think they look even sweeter that way. Here is a picture of the finished inside, I used the other set of balloons and the sentiment from the same set. 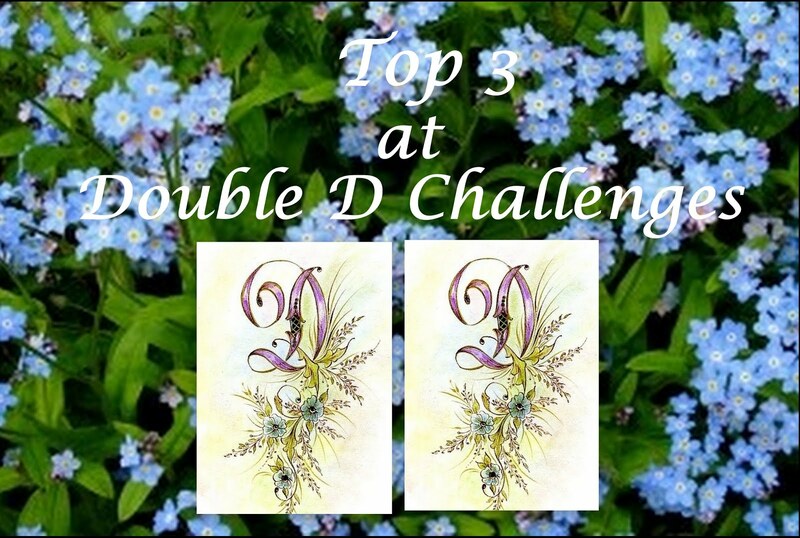 This is the banner from this fabulous challenge. Here are the stamps I used.